This year marks the twentieth anniversary of one of our favorite albums of the 90s: Third Eye Blind’s self titled debut album. These San Francisco rockers celebrated their stellar 20 years with the 2017 Summer Gods Tour at Jones Beach. We gathered a group of our friends to spend the day at the beach, followed by the performance at the Northwell Health amphitheater in the evening. We are excited to share our “semi-charmed” day with you. This weekend was nostalgic for us. In the 90s, we frequently attended Rock and Alternative concerts at Jones Beach. We even saw Third Eye Blind perform in 1997. 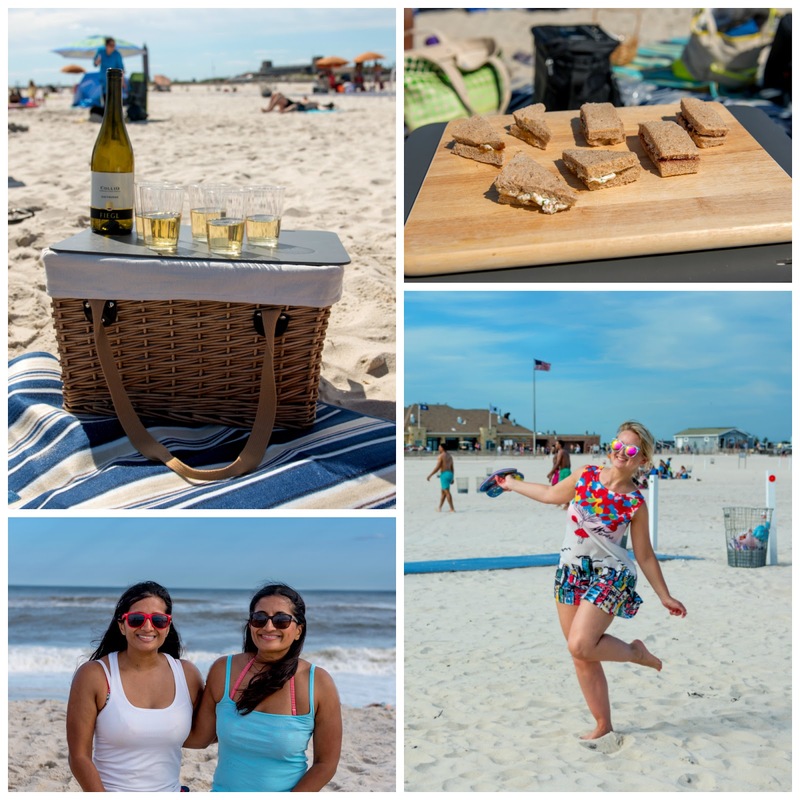 Jones Beach is a quick train ride away from the city. We began our day with a picnic at the beach. Archana prepared goat cheese & pecan and blue cheese & walnut tea sandwiches. We also sipped on lots of white wine and rosé. Always remember to be discrete with alcohol on beaches and parks. We serendipitously bumped into a college friend, Lorraine, and her family on the beach. Her son, Nico, loved the white chocolate covered soft almond candies that we received from Confetti Milano. These sweet treats are DELICIOUS and made in Italy. They come in a variety of flavors including Classic Almond, Cappuccino, Coconut, Stracciatella, Strawberry and Tiramisu. Our favorite was the Stracciatella. You can buy them in the city at Grace’s Marketplace in the Upper East Side or online. After a relaxing afternoon at the beach, we headed over to the Northwell Health Theater for the concert. The band started with several new songs and then performed their entire debut album in chronological order. They concluded with Never Let You Go from the Collection album. We highly recommend a beach and concert day at Jones Beach this summer. Check out the remaining dates on the Summer Gods tours here.